Mobile technologies like social media, 4G networks and mobile apps have become indispensable resources for many business professionals. While many of these will always have a learning curve—because technology is constantly changing—at the end of the day, technology overall is just a tool that can help make life much easier, especially for real estate professionals. Not utilizing technology at all. According to Google, consumers spend an average of 55 minutes per visit on real estate mobile apps. That’s a pretty significant statistic if you think about the amount of time spent on your smartphone overall. 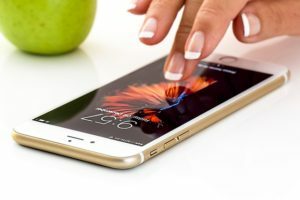 Mobile applications have the ability to connect you with anyone around the world, consequently, expanding your professional reach. And while it might be difficult to keep up with emerging technical knowledge, the biggest mistake any real estate professional can do is avoid it all together. Not separating personal from professional. When it comes to the professional you and a private you, many people can separate the two and know when it’s appropriate to use one persona over the other. As a real estate professional, you want to be personable with clients, but not too personal. Modern technologies have begun to blur the lines between “personal” and “professional” with social media websites, blogs and the like. You’ll want to make sure you’re not getting overly friendly with clients by contacting them via private messaging as opposed to email or phone. Adding clients to social media websites. In tandem with keeping your private and professional lives separate, adding clients to your social media websites comes with some red flags. While social technologies have made sharing our lives with the world much easier, the downside is you can do a little too much sharing if you’re not careful. Unless a client plays a dual role in your life as a friend or family member, it’s best to keep them off your social media profiles. It may even behoove you to create a profile that is strictly for clients. Not realizing the vast potential mobile technology holds. A study conducted by Google showed that people start searching real estate websites an average of three years before they’re even considering buying a home. So while a home may not be in a client’s immediate future, following up through mobile apps or any number of social technologies will keep you top of mind with potential clients. Similarly, about 69 percent of people Google surveyed said “shopping for real estate was fun” on their mobile devices. It was so fun, in fact, that 64 percent kept checking houses after they purchased a home. 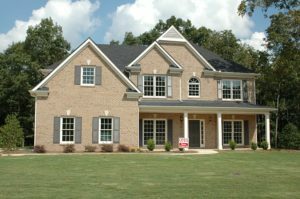 That means, there’s the potential to help the client sell their home when the time comes. Here at SnApp Real Estate, we build high performance real estate mobile apps that will help you streamline your business and connect with clients every day of the week. Take advantage of our easy to use and customize application technology, and make buying and selling easy. This entry was posted in apps for real estate agents, Mobile Apps for Real Estate Agents, SnApp, SnApp Development and tagged apps for real estate agents, mobile apps for real estate agents, snapp, snapp development. Bookmark the permalink.